Photograph of a butcher's shop at Hyderabad in Andhra Pradesh, taken by Hooper & Western in c. 1870, from the Archaeological Survey of India Collections. 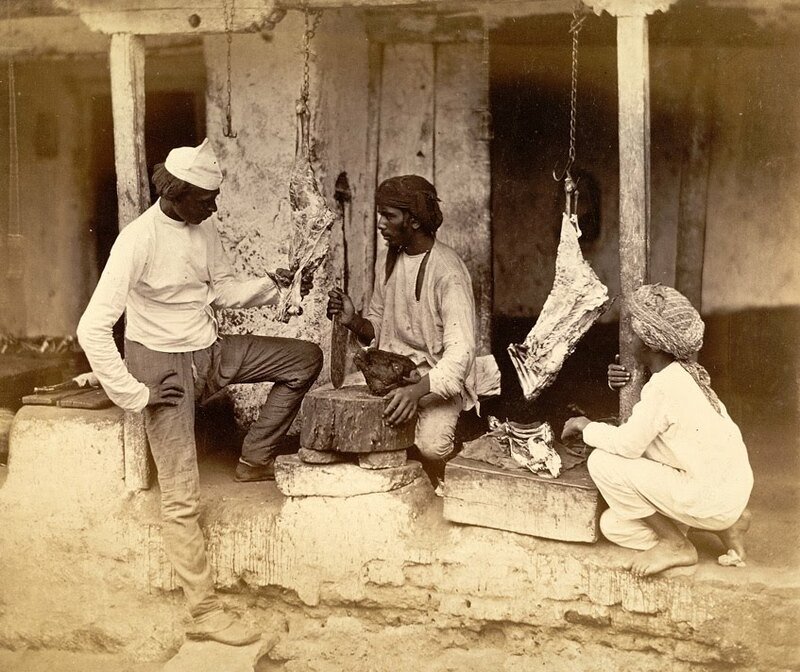 This is a view of three men posed around a chopping block in front of the shop, with meat hanging from hooks. It is presumbably one of the series of views which was shown first at the London Exhibition of 1871 and later at the Vienna Exhibition of 1873, and mentioned in John Forbes Watson's catalogue for theVienna Exhibition.